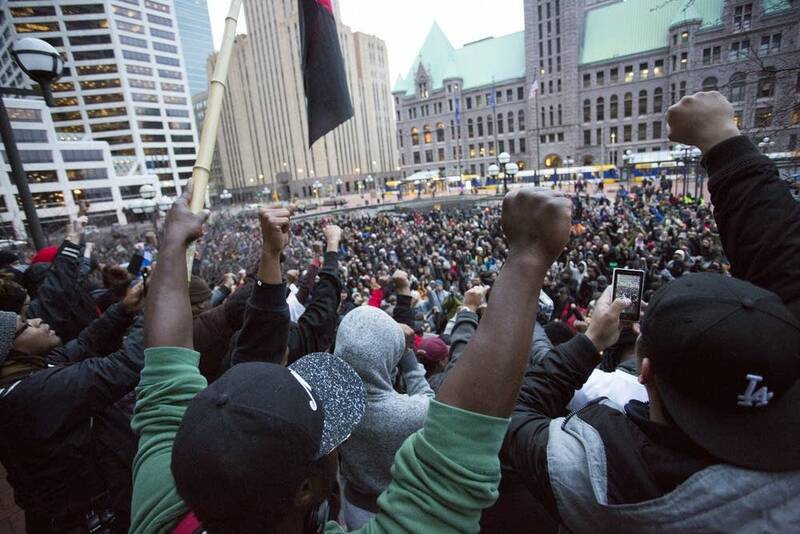 The fatal police shooting of Jamar Clark has sparked widespread protests and calls for justice. 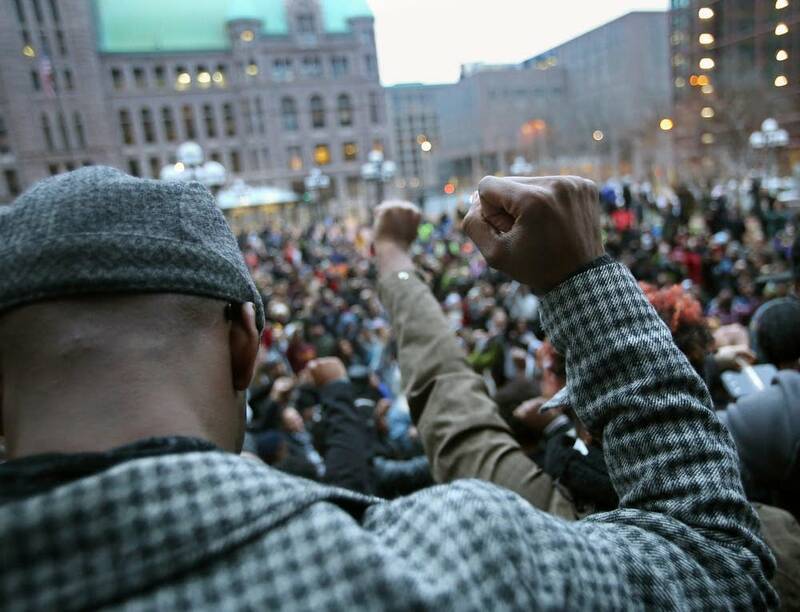 Conflicting accounts about whether or not Clark was handcuffed rocked the Twin Cities, widening racial tensions between police and African-Americans. On June 1, federal prosecutors announced they will not pursue federal civil rights charges against the two Minneapolis police officers involved in the shooting. 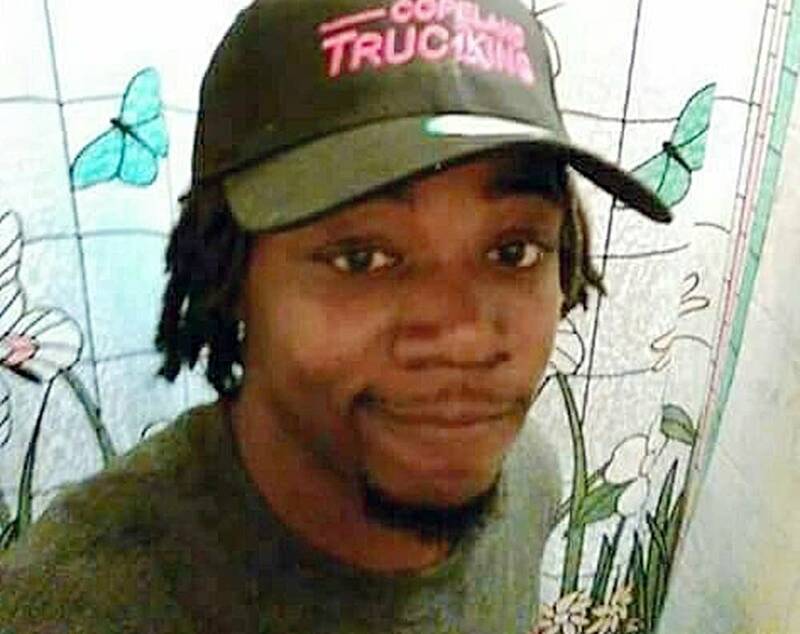 Jamar Clark is shot; he dies the following day. Police say Clark had been interfering with paramedics who had been called to a birthday party to aid a woman initially identified as Clark's girlfriend. 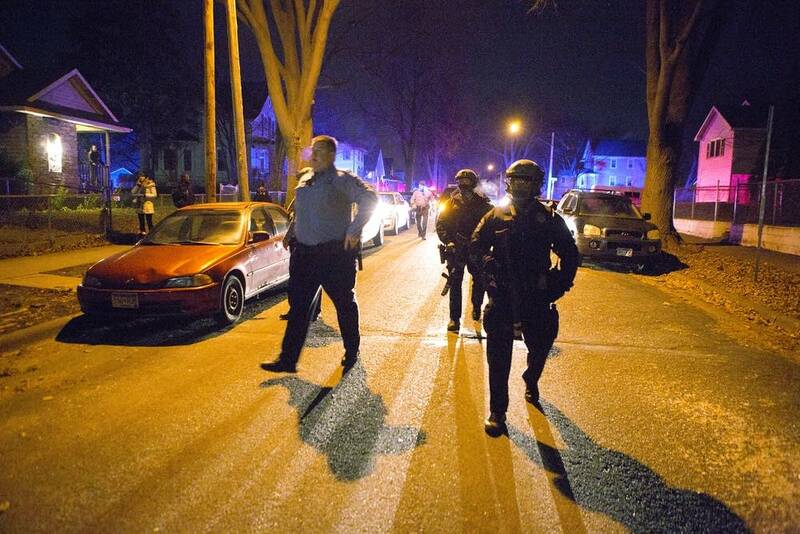 The Minneapolis Police Department asks the Minnesota Bureau of Criminal Apprehension to investigate. According to a BCA statement, the responding Minneapolis police officers believed the woman was an assault victim and that Clark was a suspect. Later that day, hundreds of people march several blocks down Plymouth Avenue North from the scene of the shooting to the Minneapolis Police Department's 4th Precinct headquarters. They hoist a banner over the entrance and set up a tent, saying they'll stay until their demands are met. Minneapolis Mayor Betsy Hodges says she's asked the United States Justice Department for a federal civil rights investigation into the shooting. Hodges says that while she had "great confidence" in Minneapolis police investigators and in the state Bureau of Criminal Apprehension, a Justice Department investigation would promote transparency and community trust. Gov. Mark Dayton says in a statement he also supports the request. Activists continue to dig in at the police station, calling for the release any video of the incident that security cameras near the scene may have captured. 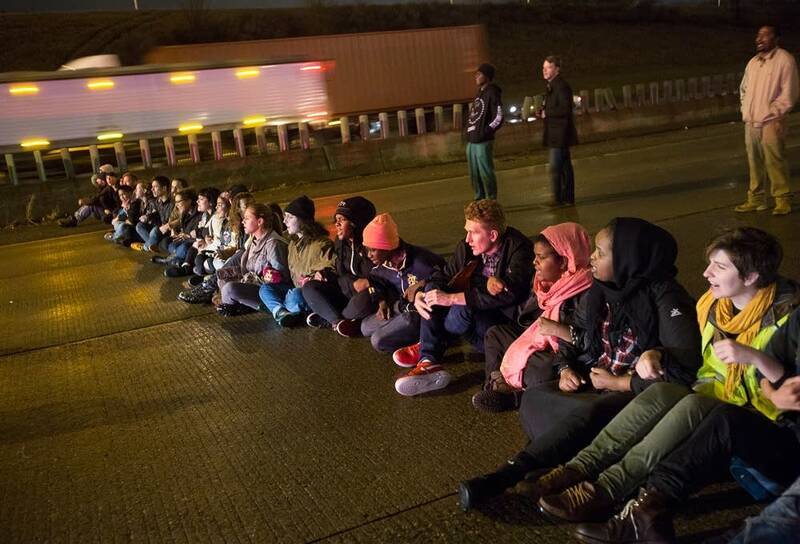 Later that night, protesters shut down the westbound lanes of Interstate 94. Authorities ultimately arrest 42 people for the I-94 shutdown. The Hennepin County medical examiner says a gunshot to the head killed Clark. The BCA also says it has some video from the scene in north Minneapolis, although none of it shows the incident "in its entirety," according to BCA Superintendent Drew Evans. He says the agency won't release videos at this point in the investigation. Police and hundreds of protesters engage in a tense standoff after police remove protesters who had been camping outside the 4th Precinct for several days. Chemical irritants are used on both sides. The impasse lasts late into the night. Meanwhile, a top Minneapolis police union official says Clark had reached for one of the officers' weapon when he shot. The union also contends Clark was not handcuffed, as some community members have said. And the BCA identifies the officers involved as Mark Ringgenberg and Dustin Schwarze. Nekima Levy-Pounds, head of the Minneapolis NAACP, calls on federal authorities to take control of the Minneapolis Police Department. Protests continue at the 4th Precinct but the mood is lighter, with speakers, dancing and talk of community. Hodges visits with demonstrators outside the police station; the reception is decidedly chilly. Demonstrators hold a vigil in front of the 4th Precinct, as leaders from the national NAACP join the group's efforts. Five people are shot near the 4th Precinct police station. None of the victims' injuries are life-threatening. Activists allege the four men in police custody are "white supremacists" who came to cause trouble. Dayton also says he's seen video from the ambulance camera running during the Clark shooting and that it does not confirm either side's allegations of what happened. Organizers lead a march of more than 1,000 people through north Minneapolis that includes a stop at the site where Clark was shot. Part of that march then heads for downtown Minneapolis and a rally outside City Hall before heading back toward the 4th Precinct station. Later that night, protests at the 4th Precinct take on a peaceful and festive tone. Here's a look at some of the demonstrators who came out. Meanwhile, one of the Minneapolis police officers involved in the Clark shooting is accused in a lawsuit of using excessive force during an arrest four years ago. Court documents show the lawsuit against Dustin Schwarze was filed about 10 days before Clark's shooting death. The case was moved Nov. 24 from Hennepin County District Court to U.S. District Court. Hundreds of mourners fill a Minneapolis church for Clark's funeral. The funeral procession goes past the 4th Precinct, where demonstrators raise their fists and shout "Justice for Jamar." Prosecutors charge four men in connection with the shootings near the 4th Precinct. Allen L. Scarsella, 23, of Lakeville, is charged on six felony riot and assault counts. Joseph M. Backman, 27, of Eagan, Daniel T. Macey, 26, of Pine City, Minn., and Nathan W. Gustavsson, 21, of Hermantown, Minn., are also charged. DFL U.S. Rep. Keith Ellison, Hodges and other community leaders also call for an end to the 4th Precinct occupation, citing public safety. Protesters, however, respond with a firm, "no." The four men make their first appearances in court. Hennepin County District Judge Hilary Lindell Caligiuri sets bail for Scarsella, accused of firing the shots, at $500,000. She sets bail for the other three at $250,000 each, but does allow conditional bail of $100,000 for Macey. 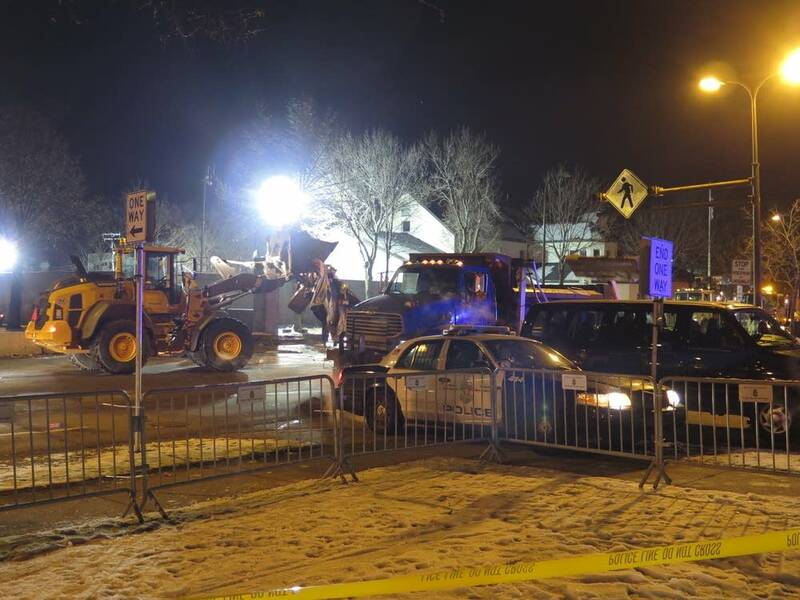 Beginning at about 4 a.m., Minneapolis police clear the protest camp outside the 4th Precinct. That afternoon, a few hundred protesters occupy the rotunda of Minneapolis City Hall for a couple of hours. 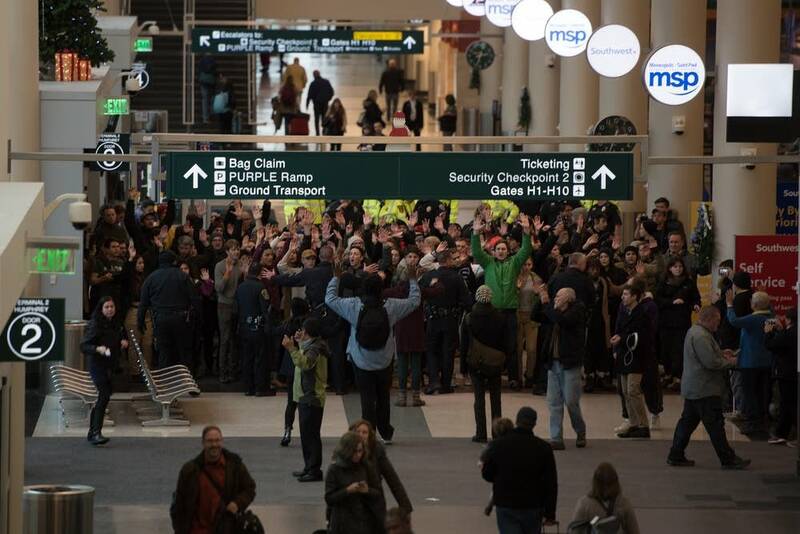 About a dozen people are arrested during a protest involving hundreds that started at the Mall of America before moving to the Minneapolis-St. Paul International Airport. The Minneapolis NAACP and the American Civil Liberties Union of Minnesota join forces to file a lawsuit that seeks to force the release of video recordings from the shooting. The NAACP and ACLU say Minnesota law requires authorities to release the incident video as soon as possible because the public benefit would outweigh any possible harm. Leaders of those organizations say the Clark video should be released under state data practices law. The BCA says it has concluded its investigation and has turned its findings over to the Hennepin County Attorney's Office for review. In a victory for protesters, Freeman — the Hennepin County attorney — says his office, not a grand jury, will make the final call on whether to press charges against Minneapolis police officers. Freeman says the use of force by the two officers was justified and that prosecutors will not press charges against them. Freeman says there was no physical evidence that Clark had been handcuffed at the time he was shot, a key question in the matter. He also says there was evidence of Clark's DNA on the gun and duty belt of one of the officers, which backed up the officers' account that Clark had reached for the weapon during the struggle. Clark supporters cast doubt on the prosecutor's account of what happened and accuse Freeman of placing too much emphasis on the officers' telling of events and not enough on the testimony of those in the neighborhood where the shooting happened. 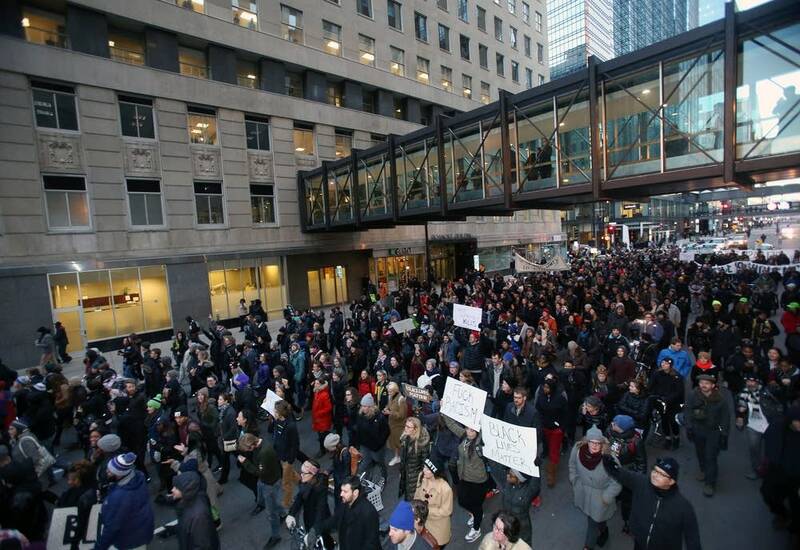 Later that night, hundreds rally and march in Minneapolis in protest. At a news conference, Levy-Pounds, president of the Minneapolis NAACP, calls on authorities to reopen the case and appoint a special prosecutor to lead the investigation. At that same news conference, RayAnn Hayes, the woman who was injured the night Clark was shot, says she was not Clark's girlfriend, that he never hit her that night and that the prosecutor's narrative that justified Clark's shooting by police was fabricated. Federal prosecutors say they will not pursue federal civil rights charges against the two Minneapolis police officers in Clark's shooting. The police chief announces the two officers involved did not violate police department policy during the confrontation and will not face discipline. After reading the findings of an internal affairs investigation by the department, Harteau says she concluded the use of deadly force by the officers was necessary. A federal review of the 18-day standoff outside the 4th Precinct finds problems with the city's coordination and communication. 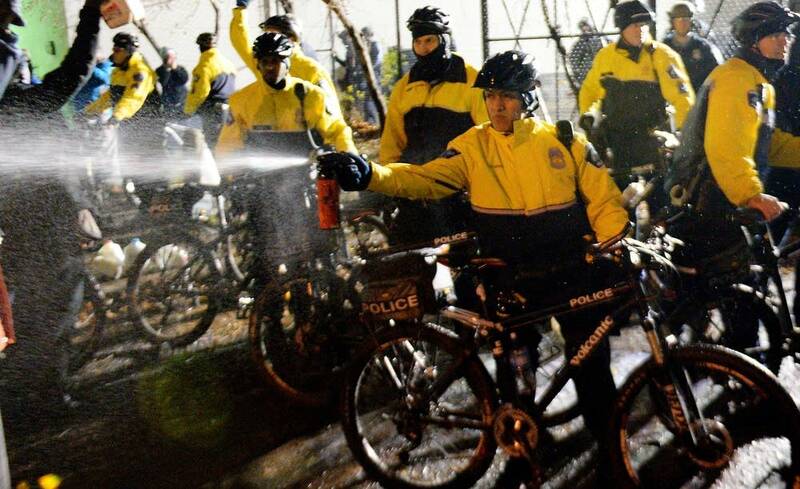 The review finds the city didn't have a coordinated response to the occupation and didn't have a plan for managing a civil disturbance as it became a long-term event.